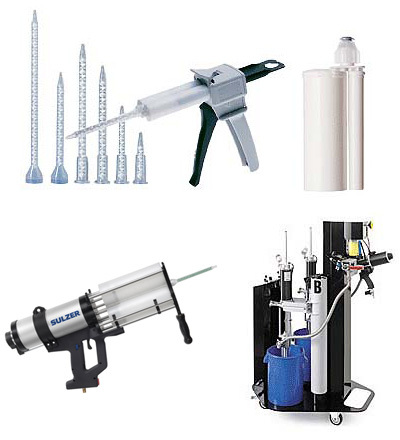 Sulzer Mixpac is the world’s leading manufacturer and supplier of dosing, mixing and dispensing systems for reactive multi component material. 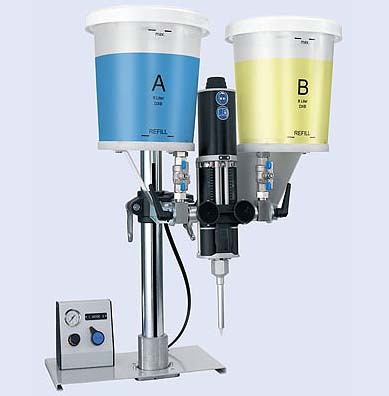 Full range of mixers for cartridge and dispensing machine applications, available in different lengths and sizes. 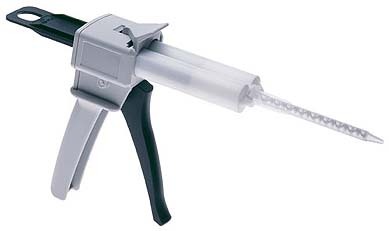 Sulzer Mixpac offers a wide range of disposable 2-K cartridges and syringes for a variety of applications. 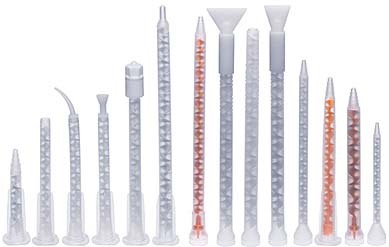 Side-by-side cartridges as well as coaxial cartridges are available in volumes from 50 ml up to 1,500 ml and in volume ratios of 1:1, 2:1 and 10:1. 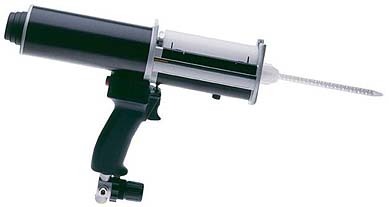 ...In professional quality design for 50 ml, 200 ml and 400 ml cartridge systems. 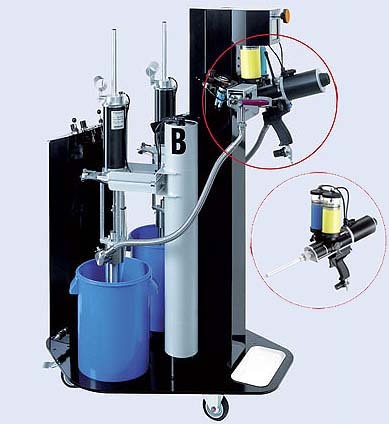 For 200 ml and 400 ml the dispensers are available for manual and pneumatic operation. 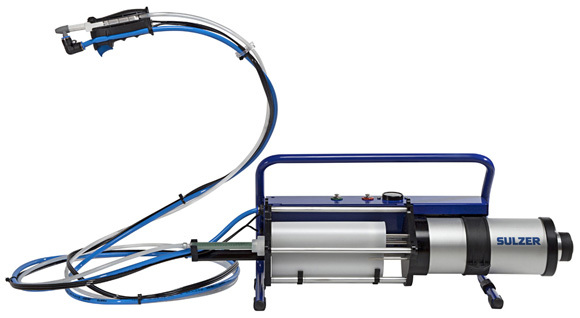 Meter mixing systems from Sulzer Mixpac fill the gap between 2-component cartridge bonding systems and systems with huge dispensing throughput.